Easter with a touch of childhood memories. Just a few examples of Easter eggs. 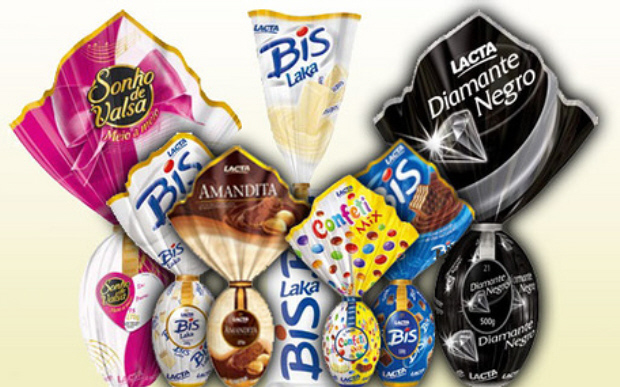 You can find them everywhere in Brazil (yes, I grew up there) and you find them hanging from the ceiling (or a support over your head) in grocery stores. All you have to do is pick the one (or ones) you want and grab them as if you were getting fruit from a tree. 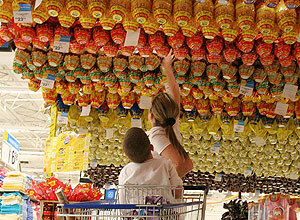 Easter eggs are expensive, but walking into a supermarket and see all the eggs hanging above your head is priceless. This is a homemade one. Yes, you can get homemade ones and they are simply delicious! Of course the contents of the eggs differ from one egg to the next, but they are all hollow with candies (and sometimes also toys) inside. The chocolate on the outside of the egg also changes, matching the candy they are based on (some have peanuts mixed with the chocolate, some are white chocolate, etc.). But they were not the only thing in my basket. There were also smaller eggs and a chocolate bunny. I always got a chocolate bunny. Maybe because when I was little someone stole my bunny, a chocolate one, so my mom decided to give me one every year to compensate. Who knows, the point is, it was magical. But one thing was even more magical. 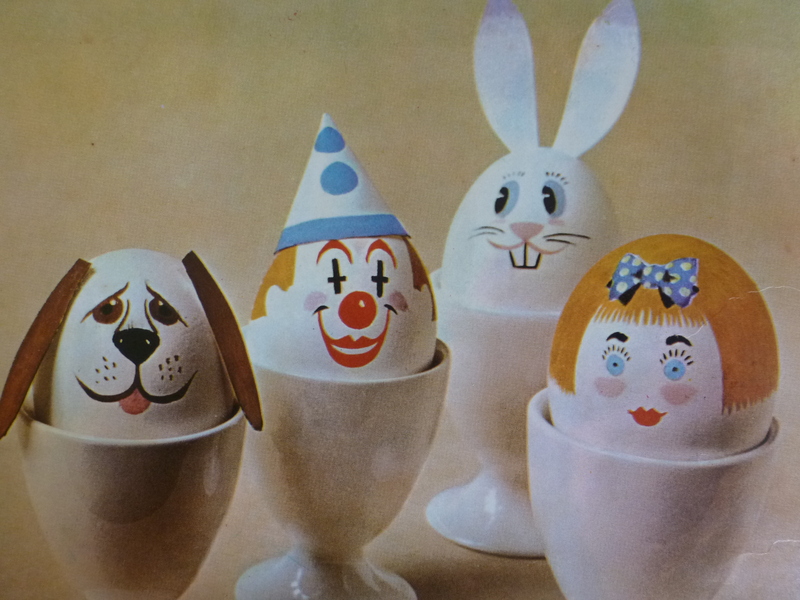 The decorated egg shells. My mom would start collecting eggshells weeks (maybe months) before Easter It was a tough job to get them ready. She’d break just a little piece at the bottom of the eggshell, just enough to get the egg out. Then she’d wash the eggshells, let them dry, and store them in an egg carton. Later she’d make sugar peanuts (or Easter peanuts, as we’d call them) and put them inside the eggshells. She’d use a tiny cupcake liner to cover the whole and keep the peanuts inside. Then she’d decorate the shells using watercolors and a paintbrush. My mom’s ones had cupcake liners under them instead of egg holders, but they looked just like these ones. Can we just take a moment to admire the artwork on those? I have to say I admire my mom’s dedication in using a tiny paintbrush to make the tiny details on the eggs. Nowadays with sharpies it would be a much easier job. Yay for that, right? Here you can see the peanuts inside and the cupcake liners. And now I’m a bit nostalgic. Gee, I wonder why, right? How was Easter for you growing up? What things are part of your fondest memories? Oh, yeah, and HAPPY EASTER, EVERYONE! Hope the Easter bunny leaves you a bunch of good moments to turn into sweet memories one day.